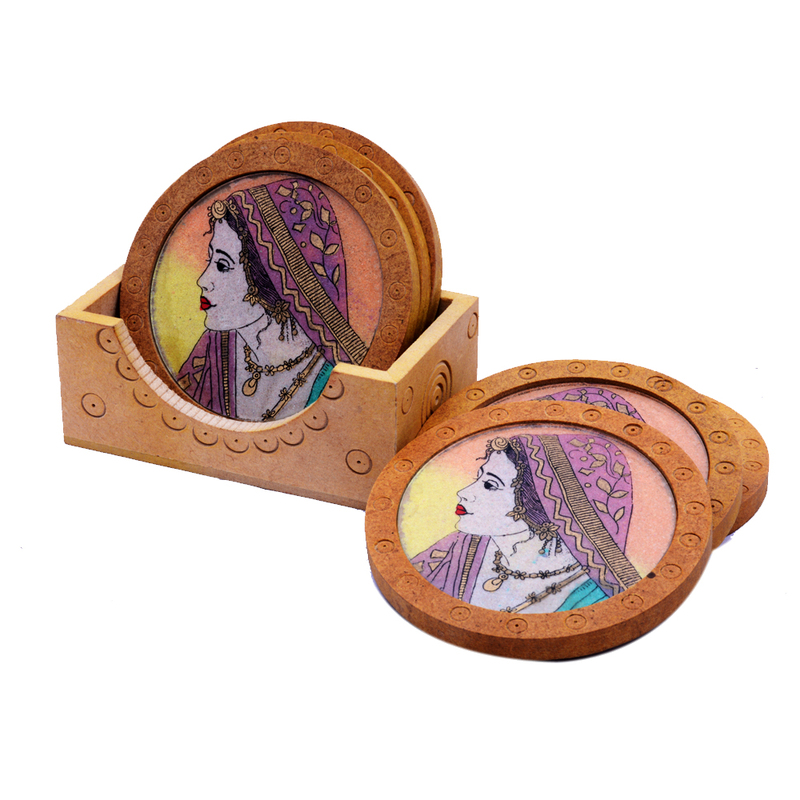 Lovers of tea and ethnic artwork are sure to feel double the affection for the Traditional Wooden Tea Coaster with a Lady Painting because of Read More..the presence of such authentic ethnic artwork on an item dedicated solely towards serving the avid drinker of tea. The intricate painting of the lady is a fine specimen of ethnic art form, and allows its owners to highlight their taste for such traditional finery. This is in addition to the real purpose of this product, which is to provide a better tea drinking experience to its users. Show Less..